The original Activator Instrument. The first high-speed, low-force instrument for chiropractic adjustment of the spine and extremities. This traditional design is still a favorite with many practitioners because it provides reliability and results their patients desire. Control the actual force to a minute degree with an anvil style motion using this hand-held device. Proper adjustments can then be made without any severe movement to the bone in the spine or extremities. Provides adjustable excursion for unsurpassed precision resulting in a gentle and comfortable adjustment treatment. Traditional design favored among many practitioners because it provides the reliability and results patients desire. 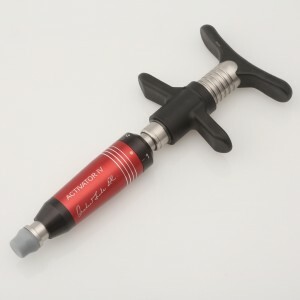 Activator Methods sleekest and smoothest model provides adjustable excursion for unsurpassed precision and control. Effective adjustment due to the weighted anvil of the Activator II. Superiority of the high-speed, low-force chiropractic adjusting instrument allows for comprehensive treatment to all areas of the spine, including the extremities. Accommodate pediatrics, geriatrics, and small body frames with a gentle and comfortable adjustment method. Designed for practitioners with smaller hands, the Activator II EZ-Grip instrument has a shorter distance between the handle and finger grip. Signature Series patented design developed exclusively for the Worlds #1 instrument adjusting technique. 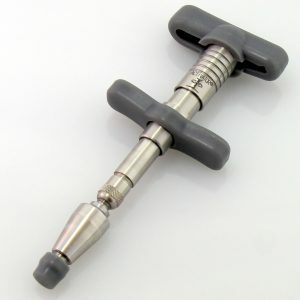 Ideal for treating Cervicals, TMJ, Children, Geriatrics, and small body frames utilizing the #1 setting. Ergonomic features that help make every day practice less stressful are the fundamentals of the Activator® IV. The EZ-Grip instruments offer increased comfort and less fatigue when adjusting. 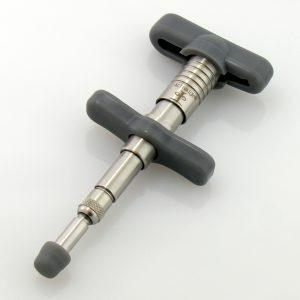 Designed for practitioners with smaller hands, this instrument has less distance between the handle and finger grip. First FDA registered and approved electronic cordless chiropractic adjusting instrument, the most innovative in the industry. Complete range of force settings (1-4), that can be managed using one hand. Generates a thrust at the touch of a button, resulting in less wear and tear on the doctor, extending practic life. Ergonomically designed to fit any hand, it’s quick, efficient, and fully portable enabling the doctor to see more patients. Ample battery life, lasting throughout a typical day. Package comes complete with the charging station, power adapter, and power pack.